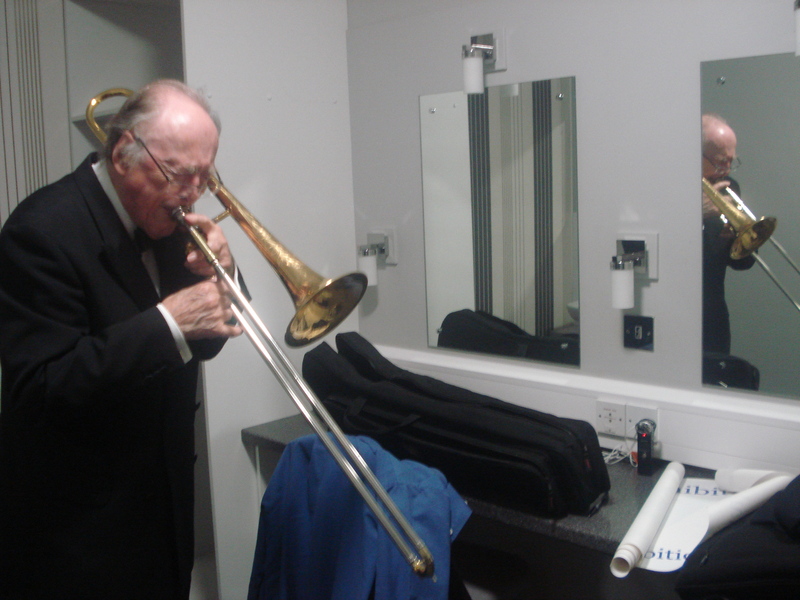 Jazz trombone player and bandleader Chris Barber has been performing for well over 50 years. His Jazz band included notables such as Ottillie Paterson, Skiffle legend Lonnie Donegan (Chris played double bass on Lonnie’s smash hit ‘Rock Island Line’), and Alexis Korner of Blues Incorporated and co-founder of the first electric Blues club in the UK, the Ealing Club, which continues to this day. Chris was also instrumental in the arrival in the UK of American Blues greats including Muddy Waters and Big Bill Broonzy. His interactions with the Blues have continued, including his appearance at the Lead Belly Fest at the Royal Albert Hall in 2015, and interactions with artists such as Dave Kelly from The Blues Band and Eric Clapton. Chris Barber’s website is here. Go and see him and his band!